Collecting Prints in Australia, Art Gallery of NSW. 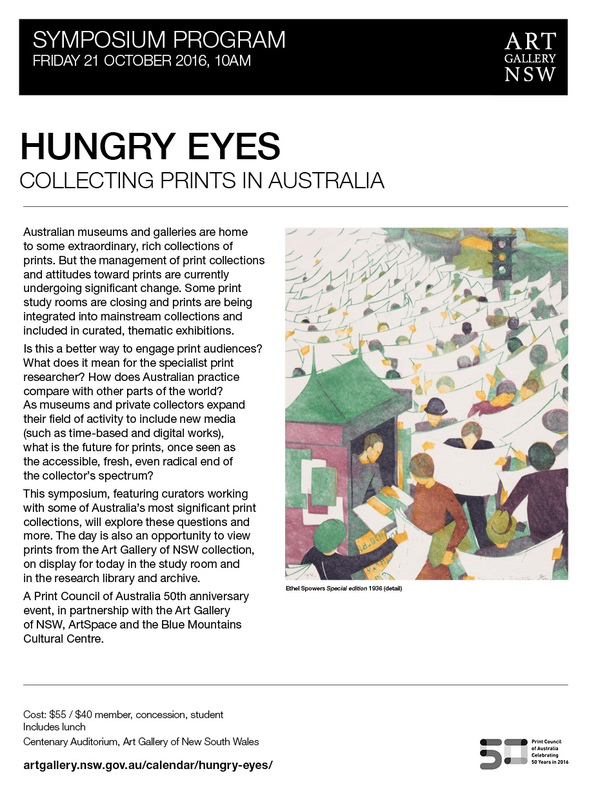 Presented by the Art Gallery of NSW in partnership with the Print Council of Australia. Hear from leading curators and master printers from Australia and abroad including Rento Brattinga, Anne Ryan, Glen Barkley, Susi Muddiman OAM, Sarah Johnson, and Dr Thomas A Middlemost. Convened by Akky van Ogtrop, President of the Print Council of Australia. The program for the day includes viewing of print displays and lunch served in the AGNSW Prints / Drawings and Photographs Study Room.